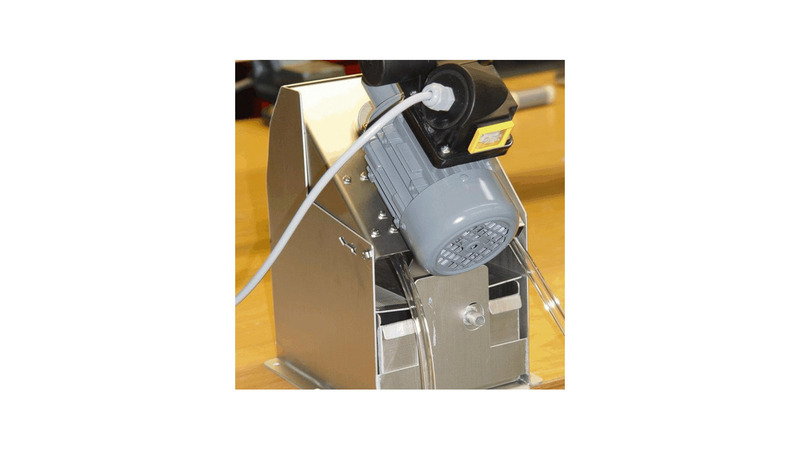 Many part washers use an oil skimmer in order to remove floating oil and sludge.Some of the oil skimmers remove not only oil but also water, because they reach only a small part of the surface or they operate longer than useful. The new oil skimmer model 1U with built-in decanter removes much less water than other systems. The floating oil collector tube reaches the whole surface of the basin and removes the floating oil. The oil floats together with a small amount of water into the decanter underneath the oil skimmer. Because of different gravity the oil floats on top of the coolant. The coolant will flow back into the main tank. The separated oil will flow into the waste oil container. The amount of washing water in the waste oil is less than 10%. In many cases the lifetime of the washing water was raised up to 400% by using the oil skimmer model 1U.